Would you like to connect HDPE cable protection tubes with each other? Then you can choose from a wide range of top quality screw and click couplings. 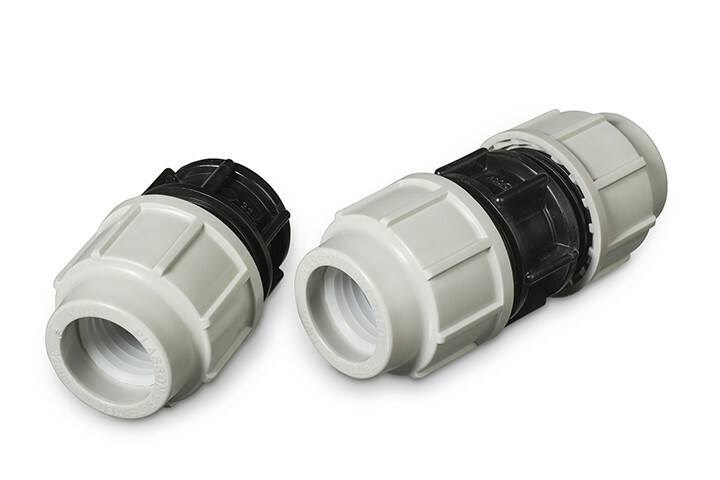 This programme of couplings from Electroplast features a convenient, compact design which is easy to assemble and disassemble. This saves you a lot of time. Furthermore you are always assured of a good result. A perfect, long-lasting connection guaranteed. Available as straight couplings, end and transition couplings, electrofusion and repair couplings. Available diameters: 16 to 63 mm. 5 to 63 mm. 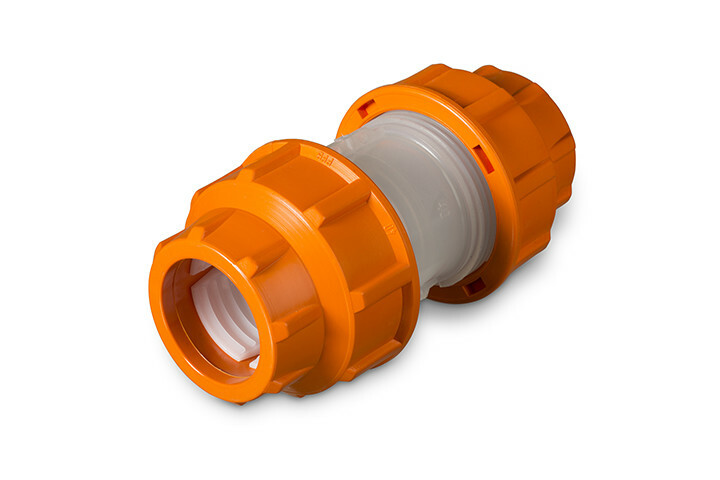 These couplings are also available with a transparent centre section, allowing you to visually check the correct placement of the tube ends during assembly or the presence of a cable inside the tube afterwards. Available as straight couplings. Available diameters: 32, 40 and 50 mm. 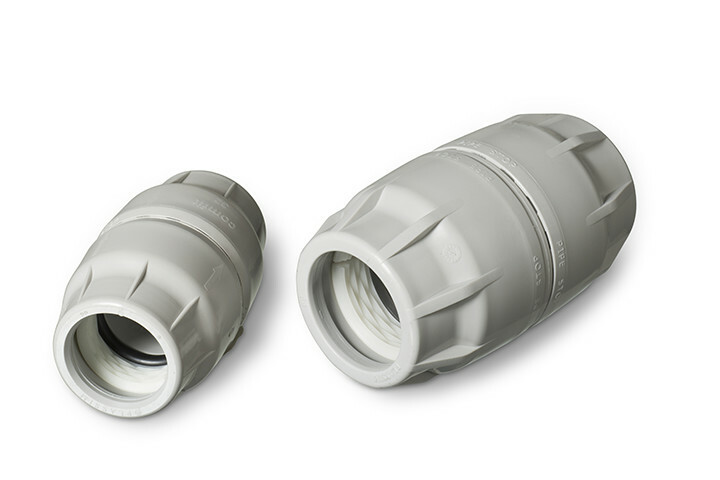 Owing to its narrow and smooth structure the Comfit click coupling is ideal for tight spaces.